Kate George joined Synoptics as an Applications Specialist for Synbiosis in March 2010 and took over running the Synbiosis division in 2014. She is now Sales and Technical Director for Synoptics. Kate studied for a degree in Biomedical Sciences at Portsmouth University specialising in Microbiology. Previously employed by Wickham Laboratories in Hampshire where she started as a Virology and Microbiology Technician, she then went on to manage the Sterility department and became a Study Director for GLP/GMP sample testing. 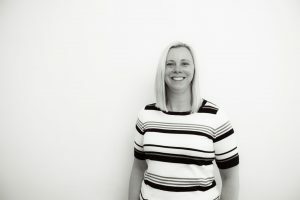 Josie Harris joined Synbiosis as Sales Manager in July 2017 and is responsible for looking after our distributors. Josie studied Human Biosciences at Plymouth University with a microbiology research dissertation in her final year. After this, she went on to work in the Microbiology Laboratory of Beckton Dickinson in Plymouth and latterly was employed as a Microbiologist, Product Evaluator and Water Purification expert for the main UK manufacturing site for Estee Lauder Companies in Hampshire. Please feel free to contact Josie by email on josie.harris@synbiosis.com or by telephone on +44 (0)1223 727129 or +44 (0)7730 059682. Richard Edridge joined Synbiosis as Applications Specialist in October 2018. Richard started his career in business development and then decided to pursue a career in science. Richard studied a (HE) Diploma in Biology at Leicester College followed by a BSc in Biological Science at the University of Bedfordshire. If you would like any assistance with specific applications, please feel free to contact Richard by email on richard.edridge@synbiosis.com or by telephone on +44 (0)1223 727128.